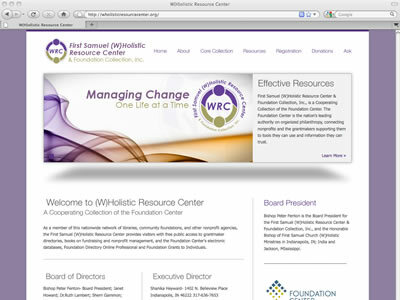 First Samuel (W)Holistic Resource Center needed a website to expose the services they offered to not-for-profit organizations. Additionally, we were tasked with creating an brand and image that reflected the cooperative nature of their work of empowering organizations through research and information. This website is built on top of the proven and sturdy WordPress CMS engine and the client has full control over the features of their website. Training took a little less than an hour with only a few phone support calls. It was as simple as 1-2-3.